It's rather risky, making plans for an 89 year old, but my family is planning a mitzvah very new to us. We're working hard to bring my father to Israel. Our empty nest won't be filling with our progeny, but with the family patriarch. My children and grandchildren, too, are helping as much as possible, no, more than you can ever imagine. We're filling in forms, finding documents etc to fulfill the requirements of Nefesh B'Nefesh and JAFI. That's what's behind my blogging slience recently. Last night when I couldn't sleep I posted the latest Kosher Cooking Carnival. I'll be jetlagged before I even board the plane. G-d willing my mother will join him here in a few short months and they should both live out their lives, until a 120, surrounded by children, grandchildren and great-grandchildren. I just read the news item saying that Sarah Palin's new book, Going Rogue, will be coming out Nov. 17. 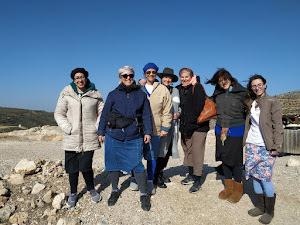 I highly recommend that the holy sisters of the yishuvim invite Sarah for a visit to Israel highlighting the yishuvim and the women in particular. I think that Women in Green, Daniela Weiss, the excellent women's Torah institutions in Yehuda and Shomron and some of the fine blogging ladies, especially our own Muse, should be involved. I think that after Mike Huckabee's visit this could be a very nice event. Some people who are better at promotion than ourselves should be brought on board. Do some networking and see what you can come up with. U. S. A. You Elected Him! You wanted change, and you got it! Barack Hussein Obama is his mother's son. He's infatuated with the "third world" and rejects the United States as world power/policeman. United States President Obama bullies Israel and coddles Iran, stretching American citizens' support. Obama revealed his self-reverential fixation on "global cooperation," a willowy hope that implicitly gives every crackpot dictator a veto over American assertions of national interest. The terrifying prospect that Obama is prepared to voluntarily forfeit America's preeminence has only suggested itself before, including in Cairo last June, when his flawed moral-equivalence calculations emerged. Many Americans who voted for him did so to support the idea that a Black American could be its President. "No single nation should pick and choose which nation holds nuclear weapons," he told his Muslim audience then. Never mind that a year earlier, as a candidate, he had told a Jewish audience he would "do everything in my power to prevent Iran from getting a nuclear weapon, everything." It was not until he took the UN stage that Obama's kumbaya dreams were illuminated in their frightening totality. Even Friday, after Iran conceded it has secretly enriched uranium at a second site, Obama could muster no more outrage than a scolding about "international law," as though that means anything to repressive theocracies. He also used his first speech to the General Assembly to repeat his moral-equivalency nonsense. "America does not accept the legitimacy of continued Israeli settlements," he said while demanding that Palestinians end their "incitement of Israel." Is this what most Americans want as policy? Isn't it a bit naive, stretching pragmatic credibility to think that "sanctions" would really influence Iran? Ironically, from both my perspective and the loony-Left of Roger Cohen, we agree that sanctions against Iran won't work. We just have totally different suggestions about what will be effective. Cohen likes to think that all the Iranians need is to be included, like the modern relations between the U.S. and France. He hasn't a clue as to the true psychological mind-set of the Iranians and other Moslem states. They only understand force and must get it from the United States, not from Israel. If Israel is set up as executioner, it will only increase international antisemitism. The Iran problem, which includes its nuclear program, is an international problem, not a specifically Israeli problem. By pushing Israel to take responsibility, the world blames Israel for Iranian aggression and potential nuclear war. That's why I totally, 100%, oppose Israel's attacking Iran. America, wake up! You were conned! In 1973, Was The U.S. Aware In Advance of The Arab Attacks on Israel? We were already in Israel before the Yom Kippur War, 1973. We made aliyah three years earlier. It was Israel's most crucially dangerous war. We were close to defeat, taken totally by surprise by simultaneous attacks by Syria in the North and Egypt in the South. 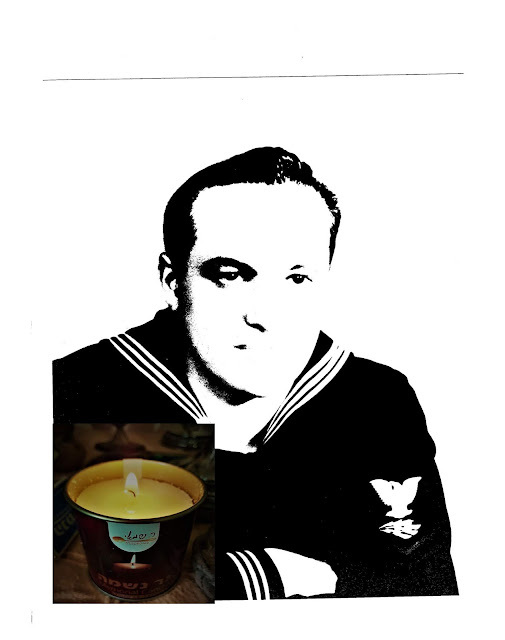 About twenty years ago, a friend, who had also been living in Israel at the time of the war, informed me that she heard from someone she trusted who had been in the American Armed Forces in Europe during the summer/fall of 1973. He told her that suddenly, late summer, they were required to stay on base and were equipped with desert gear. They remained so restricted until well into the Yom Kippur War, when Israel began its recovery and eventual victory. What does this IMRA update, (based on this Hebrew article) really say? Does it confirm my friend's story? On Friday I wrote my opinon of PM Binyamin Netanyahu's UN Speech. I sent it to my list and received a lot of comments. For that reason, I found myself writing what I think would have been a polite and diplomatic way of telling the world to cut off the pressure. We're not contiuing with our dangerous self-destructive policies. Here's my suggestion as to how Bibi should have concluded the speech. How would you have written it? "As the son a a great historian, I was raised on history and value its lessons. For that reason I can't ignore the past, and I must learn from it. I'm sorry to be forced by facts to say that Israel can no longer offer gestures, Land, to our enemies. We are not attacking them. We behave in a peaceful way. They don't. I hope and pray that some day they will. Peace is up to them. We will endanger ourselves no more." First of all, I learned that politics is very superficial. It's a beauty contest, especially once television had become the medium most people use to make "informed decisions." The Kennedy- Nixon debates taught us all that good grooming is important. Anyone with stock in under-arm sweat-guards made a killing. Am I presuming too much? Maybe some of you aren't aware of the fact that Nixon had sweated through his suit, and his habit of raising his arms let the world know it. He also needed a shave. Maybe it wasn't all that obvious in person, but the camera wasn't kind to him. JFK was more photogenic. Statistics show that in American Presidential Elections, the taller candidate generally wins. Yes, obviously McCain hadn't a chance against Obama. Kennedy and Nixon were about the same height. That's probably why the race was so close. Politics is very superficial, a lot like show business. "Emily Post is Dead Here at 86; Writer Was Arbiter of Etiquette: Author of Books and Columns on Good Manners--Name a Synonym of Propriety"
At the site of Tel Shiloh there will be a Biblical street with ancient craft workshops, guided tours including street theater. There will also be horseback riding, food stands with Succot, and a café/gift shop on location. This year the Fair will also encompass the Eastern side of the Shiloh region with Safari tours to get acquainted with the area, jeep tours, Rangers, tastings at the Meshek Ahiya Olive Oil Press and the Shiloh Winery. Guided bike tours will be leaving from the community of Kida, northeast of Shiloh, just west of the Alon Road. Each visiting vehicle will receive a detailed map of all the options available. 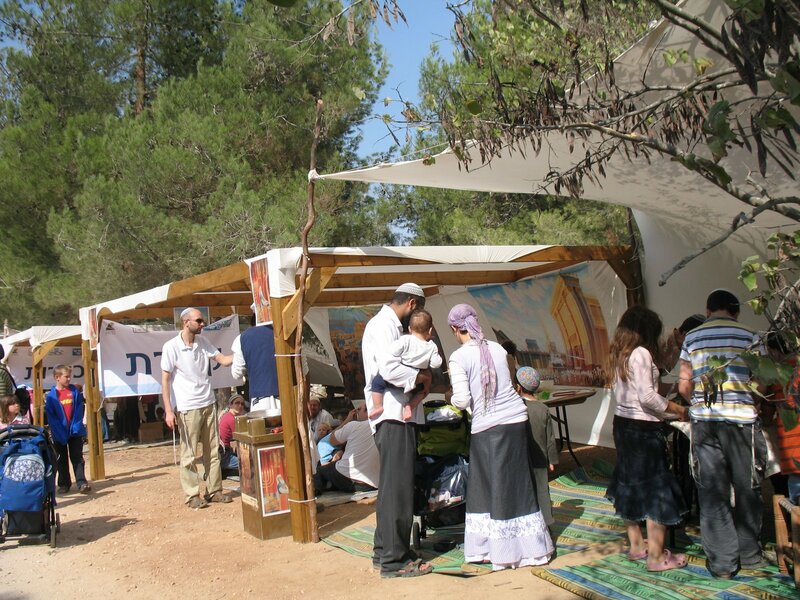 “Israel's largest annual tourism event” may be a virtual “Feast” for Jewish eyes, but it’s a full blown Jesus Fest for its evangelical participants – and that presents the Jewish state with a very real problem. 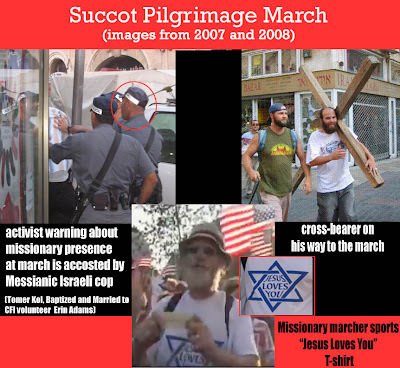 Can we welcome evangelizing Christian Pilgrims and allow them to worship here without contravening the halacha and compromising our very souls? Also, Jewish Israel has posted an excerpt of a new related video with Rabbi Riskin. Is Rabbi Riskin suggesting that G-d's Brit Bein He'Betarim (Covenant Between the Parts) between G-d and Abraham had the Christians in mind from the outset? Our Prime Minister, Binyamin Netanyahu, addressed the United Nations yesterday. Bibi is a very gifted speaker, and he's more knowledgeable about history and political science than most professors. I've heard him answer difficult questions without any opportunity or need to prepare, and of course he's not dependent on staff-written speeches displayed on a teleprompter. There were some good things in his UN speech, but there were also things I find very troubling. In an address to the General Assembly earlier in the day, Prime Minister Benjamin Netanyahu of Israel heatedly denounced President Mahmoud Ahmadinejad of Iran for frequently rejecting the Holocaust as a historical fact. Mr. Netanyahu also spent considerable time denying that Israel had committed war crimes during its three-week military attack on Gaza last winter, as it was recently accused of doing in a report by a fact-finding mission from the Human Rights Council. The problem is that Netanyahu gave facts but came to the wrong conclusions. Bibi should have tied all of these things up with a different conclusion. Prime Minister Netanyahu should have stated that Israel is no longer going to "take risks for peace." We have been doing it for decades and it has only brought us war, terrorism and condemnation. The world hasn't changed since Hitler's Nazi Germany began their systematic discrimination against Jews, which gradually built up to mass murder, the Holocaust. During that time, no foreign country condemned the Nazis nor defended the Jews of Germany and later of Europe. United States President Franklyn D. Roosevelt even sent back German Jews fleeing the Nazis. Bibi's speech was a big tease. It fizzled, rather than concluding with a strong message. What a wasted opportunity and what a waste of potential leadership. Bibi is proving no better than his predecessors. Here is the link to the text of the entire speech PM Natenyahu made at the UN. I've known Great Neck for almost half a century. Yes, it's almot fifty years since we moved there. I left it in 1970, but my parents still live there. It has changed a lot over the years I've known it. The first Jews to move to Great Neck in large numbers, post-World War Two, did their best to fit in. Until the 1970's, there were very, very few truly Orthodox, Torah-observant Jews. Today, Great Neck is a bastion of Modern Orthodoxy, with a great (enviable according to some) number and variety of kosher stores and restaurants. But ironically, being that it's strongly Modern Orthodox, people, especially the women, don't dress the way you'd find in Boropark or other "frum" areas. As far as I know, antisemitism hasn't been a real issue there, besides complaints by some non-Sabbath observant Jews, and non-Jews about the inconvenience when certain stores are closed on Friday night and Saturday. The proliferation of Orthodox synagogues keep property values high in their vacinities, which is good for Great Neck. I don't know why the antisemitic Westboro Baptist Church members from Kansas chose Great Neck as the venue for their anti-Semitic march. But once they did, it's no surprise that they chose to march on Old Mill Road. Old Mill Road is a relatively short street, going east-west, between Middleneck Road (Great Neck's main street) and Baysview to the west. On Old Mill Road, are three of the four most veteran Great Neck synagogues, the Reform Temple Beth-El, the Orthodox Great Neck Synagogue and the Conservative Temple Israel. The police haven't banned the march. What truly shocks me is the passivity of the Jewish community. The rabbis are instructing their congregants to be quiet, accept the outrage and don't fight it. In response other organizations are stepping in. Despite pleas from officials to ignore a planned protest in Great Neck by a self-described anti-Semitic and anti-gay group from Kansas, an anti-Nazi group says it plans a counter demonstration. The latter group, Militant Jewish Defense, has obtained a permit to protest outside the Chabad of Great Neck synagogue Friday morning, said Lt. Kevin Smith of the Nassau County Police Department. Militant Jewish Defense says in a phone recording at its office that it plans an "organized anti-Nazi rally" Friday outside the synagogue to protest Westboro Baptist Church members from Kansas who also plan to be there. "The rally will be loud, legal and lawful," Manhattan-based Militant Jewish Defense says. Racism, antisemitism etc don't just fade away. They must be fought in every way possible. Unfortunately, too many Jewish Israelis have a rating system for the Land of Israel and our rights to live live in it. They've divided up our Land into, what's ours, really ours, we can live in, not live in ad nauseum. Unfortunately, this dangerous philosophy can even be heard in parts of Judea and Samaria. Gush Etzion has been one of the strongholds of this "cult." The general feeling projected is that, as long as they're "included in the consensus," they feel safe and satisfied. Of course there are exceptions, opponents, most notably two women, Nadia Matar (Women in Green) and Sharon Katz (Voices Magazine.) They are today's Ruth and Chana, struggling to change the world. Our enemies, internal and external, don't accept the distinction. For former Minister of Education MK Yuli Tamir, a small Jewish community in Gush Etzion is just as dispicable, unacceptable as one overlooking Shechem. "Anarchists like you" are a problem for law enforcement and the peace process, MK Yuli Tamir (Labor) reprimanded settler Udi Ragones as she stood Wednesday in the doorway of his small one-story home in the Nativ Ha'avot outpost in Gush Etzion. "We're not settlers, like them." In a smaller scale, this is no different than Prime Minister Binyamin Netanyahu's mistaken policies. By trying to diplomatically compromise, our projected legitimacy is weakened. You can't shouldn't make a deal with the devil. Those deals backfire. We're all One People in One Land, and we must work together. The Obama Myth, The Grand Canyon of a "Crack"
Just like United States President Barack Hussein Obama's "oratory" is totally dependent on a staff of speechwriters and teleprompter screens, apparently his bookwriting skills are illusionary, too. His much hyped autobiography was ghosted. Uncredited Bill Ayers played a major role in the writing of Obama's much acclaimed 1995 memoir, "Dreams From My Father," according to Jack Cashill. Apparently a close reading of Barack and Michelle: Portrait of an American Marriage lets the cat out of the bag. According to Jack Cashill, the Obama-Ayers relationship is much longer and more complex than either man is willing to admit. There's lots more behind the Obama Myth as it cracks and crumbles. What else are they hiding? Poor stage direction this time. No smiles. Nobody seems pleased. And that's the best thing I can find in Obama's little show. Obama bit off more than he can chew. He thinks he can push around two men a generation older and with lots more experience. "The pivot toward tackling issues that include the status of Jerusalem, the fate of Palestinian refugees and the borders of a future Palestinian state greatly increases the stakes for an administration that has found even small advances to be beyond reach. It also risks making Mr. Obama appear ineffective in having not gained a tangible early goal of his Middle East policy." This performance is proving more farce than drama or romance. Israel's Prime minister Binyamin Netanyahu's report is the opposite of Pseudistinian Abbas's. "While Prime Minister Binyamin Netanyahu emerged from his meeting with US President Barack Obama and Palestinian Authority President Mahmoud Abbas Tuesday saying that the Palestinians had dropped their preconditions for negotiations, and that the discussion now centered on the framework of the talks, Abbas himself announced that nothing less than an Israeli withdraw to the 1967 borders would enable resuming peace talks." Who was supplying the translators? Who has been advising Obama? His words and behavior were rude, immature and uncalled for. 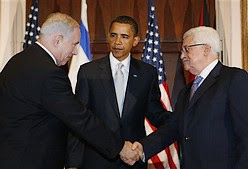 Obama scolded Netanyahu and Abbas. "We've had enough talks," Obama said. "We need to end this conflict. There is a window of opportunity but it might shut." Obama made it clear during the meeting that he was interested in resuming the negotiations between the sides "about all outstanding issues" based on the talks and signed agreements since the beginning of the Oslo process 16 years ago. "There's an historical record of the entire past negotiations and there are principles," he said. "We won't start the negotiations from scratch, we will not take the historical record and toss it aside. Nor will we wait for the perfect formula." He also said: "It's difficult to disentangle ourselves from history but we must do so. The only reason to hold public office is to get things done. We all must take risks for peace." "We cannot continue the same pattern of taking tentative steps forward and then stepping back," Obama told reporters as he sat down for the meeting. "Success depends on all sides acting with a sense of urgency." The U.S. president said both sides must get formal peace negotiations back on track. "Simply put, it is past time to talk about starting negotiations," Obama said. "It is time to move forward... Permanent status negotiations must begin and begin soon." Simply put, Obama hasn't a clue as to what this "conflict" is all about. He's dictating to foreign powers. He decided what the end product should be and he want it now, like some bratty kid. For the zillionth time, peace between us and the Arabs isn't something that can be simply negotiated, nor railroaded, like Obama is trying to do. He's acting haughty and imperialist. You can use the word "chutzpadik," too. The time has come, OK rather overdue but better late than never, for Israel to refuse to attend any more of these events. We are an independent country, made of an ancient people which has returned to its homeland. Only we, Jews, have a history of independent nationhood in this part of the world. We don't owe anything to any foreign leader. Here we are smack dab in the middle between Rosh Hashannah and Yom Kippur. Our prayers repeat that G-d is Our King. We beseech G -d to forgive us for all our sins, including the sins to our Land and Peoplehood. Andrew McCarthy, that is, writing in the National Review here. From a national security point of view he is very sensible. He is opposing the left's position that business-as-usual due process of law should be used on terrorist. Terrorists are just criminals. The problem is that they speak some other language, usually Arabic or Farsi, and they are international, so that by the time you can get enough goods on them (translated into good old English), they have flown the coop. That's the security guy's argument. The problem, and we have seen it in Israel in spades, is that the government which is on the ropes, the President or the FBI director is in a bind, he will use it against internal opposition. Besides, the US has a real constitution, not like our rule by fiat of the Supreme Court here. I wrote to McCarthy outlining those points. We'll see if he responds. My wife and I have been going through Rav Kook zt"l's Hazon HaTzimchonut VehaShalom (Vision of Vegetarianism and Peace). The objective is to write a paper for the completion of her yoga teachers' course. Janet is currently vegetarian, although not ideologically so, but rather for reasons of health and preference. She was veggie for a number of years but in order to avoid inconveniencing hosts and guests as well as raising boys who wanted "normal food", she went back to eating meat for a number of years in between. The last couple of years she is still serving meat on Shabbat and Chag but not eating it herself. Our daughter Miriam, who is currently travelling in India, does the same. They both feel too heavy and uncomfortable after eating meat. Rav Kook discusses the reason the Torah permitted the eating of meat after the Flood. There was a necessity of separating between the animals and humans in order to treat human life as more significant and more worthy of respect. People who treat animals and humans equally consider human life as equally expendable in times of difficulty. People who are coarse in their character traits and commit serious transgressions often try to compensate by some good deed to make themselves feel better, such a giving charity or helping their parents. If the Torah had been filled with obligations toward the animal world as it toward the human sphere, people would fulfill those impulses "cheaply" by good deeds toward animals. Animals do not compete with us and therefore don't get under our skin the way people do. In such a hypothetical situation the gangster would discharge all his desire to do good on animals and would never develop the truly human side of his personality. Only when the human personality will be fully developed in the time of the Redemption will it be possible to totally give up eating meat. Another book I am reading, somewhat under pressure and not as successfully, because I have promised to return it to my brother-in-law on Sukkot, is called Hasidic Psychology: Making Space for Others, by Mordechai Rotenberg. The author is a descendent of hasidim but of a more "modern" bent, having been raised modern orthodox and gone into the academic world. He takes the kabbalistic concept of tzimtzum, the "contraction" of the Divine Presence in order to make room for creation, and turns it into a prescriptive formula for human relations. He presents the hasidic model of psychology as an alternative to the competitive Prussian-Protestant model of traditional psychology which, although it was formulated almost entirely by Jews such as Freud and Adler, was the product of the Germanic psyche. My real problem, and this is a long-term one, is the relationship between Torah and media theory. I have yet to find a serious rabbi or Torah scholar who is asking these questions. The questions are, how do media work on the human psyche, what is the difference beween oral-aural, textual and electronic media; and finally, how do we go from understanding how they work to anticipating and affecting them so they will not hit us on the head as they did during the Gaza Expulsion. I read some McLuhan in the '60s and Neil Postman in the '90s but have not seen these questions addressed in the Torah world. Let me give you an example. Perspective in art did not come into being until the Renaissance. Pictures drawn or painted before then are flat with no dimension of depth. Depth comes from binocular vision, the existence of two points of view. The innovation of such a concept requires thinking "out of the box". A certain amount of time was required to incubate the invention of movable type and free people from the manuscript perspective and add a dimension. The explosive Jewish contribution to scientific and social innovation was derivative from a previous bedrock of Torah as the basis of the thinking of all serious thinking by Jews. Torah consists of an oral and a written or printed culture coexisting simultaneously as separate layers at the same time. When you access them together you get "depth". This is an insight by me with as yet no proof. Anyone who wants to help me think about these ideas is welcome. What? Huge rally calling for FREEDOM FROM Iran’s nuclear threat to Israel, America and the free world; FREEDOM FROM United Nation’s anti-Semitism and hatred of Israel; FREEDOM FROM the threat of Radical Islam to the free world; FREEDOM FROM Obama’s anti-Israel policy, pandering to the Arab world, putting pressure on Israel to self-destruct. Where? Dag Hammerskjold Plaza. Enter at 42nd St. & 2nd Ave., NYC, and walk down to 1st Ave., as far front on the left side as possible. Who? 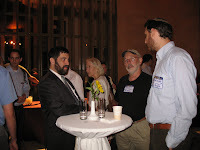 Americans for a Safe Israel/AFSI, along with like-minded groups – and YOU!! How? – Bring Israeli and American flags, banners, signs. Come early. Contact AFSI for more information, 212-828-2424, afsi@rcn.com. At a shiur last week I heard that Obama said that he was losing patience with Netanyahu. I have not seen this statement yet (okay, call me slow on the uptake), but if it is true, I have two reactions to it. First, it’s mutual. We are losing patience with Obama as well, and so are many of the American people. Second, I am happy to hear that I can finally find something with which I agree with Mr. Obama. I address all of you and the nations which you represent, including those of you who walked out when I was introduced to speak. I sympathize with you, since I also intend to walk out when I finish speaking. Unlike you, I don’t intend to come back. Now I will tell you why. The United Nations was founded in 1945 as a successor to the League of Nations, which, when challenged by international crises culminating in World War II, quickly went the way of the dinosaur and the dodo bird. This body will eventually go the same way for similar reasons with variations on a theme. The history of attempts to create world government has been fraught with great pretensions and little substance over the years. Some say that the League and the UN have failed because they have had too little authority. I say that the UN has grossly abused the power and resources which it has. It has spent money with little or no oversight and used it to produce waste, scandal and complicity in murder and indecent trafficking in human flesh. Our small country has been the subject of a disproportional amount of negative attention from this body, whose “experts” on human rights include some of the most oppressive and murderous regimes on the face of the earth. There are those in the world, and in this body, who seek to eliminate nation-states from the world little by little by ceding sovereignty. You can bully the small, week states into becoming part of larger organizations, but this approach will never solve the problem of totalitarian regimes which threaten the world with nuclear or biological holocaust or returning the world to the Stone Age by unleashing massive electromagnetic pulses through the atmosphere. Neither have you begun to stop the traffic in human organs by a nation which holds dissenting communities prisoner until a customer requests their organs. Meanwhile the so-called civilized world is an accessory to murder. Mr. President, our nation shall no longer apologize for the right to defend itself. We shall offer no more gestures and concessions to those who wish to wipe us out and eliminate us from existence as a nation. They can try to do so and continue to fail. But the next time they launch an attack, we will not be hear to hear pleas for a cease-fire. We will not stop until as an example we utterly destroy the first nation or terror organization which makes war on us. Terrorist organizations and their officials will have no safety from us anywhere in the world, not even if their representatives wear suits and ties and sit in this building. We will deal with them wherever they are. Collateral damage where they sit means little to us. We will attempt to minimize it but not at the cost of failure to destroy our objective. From this day on we have a new policy. From the moment our delegation walks out of this building, we shall not return unless and until the United Nations Organization repents in word and in deed of its nefarious past. Even then we have no intention of ceding our sovereign rights as a nation. We shall pursue our own course and defend ourselves as necessary. We expect all UN diplomats, officials, officers and troops to leave our territory and our borders within 72 hours after our resignation takes effect. Those who fail to leave will be arrested and either deported or tried for crimes they may have committed. Thereafter we will relate to the United Nations as a criminal organization. Legislation to this effect is on the desk of the Speaker of the Knesset in Jerusalem. Our policy toward the so-called Palestinians in the world will be complex but just. Those who have ancestral ties to our people and have no blood on their hands will be welcomed to return to our people and live according to our Torah. Others who wish to live with us as resident aliens will be allowed to live according to the universal Noahide Laws. Those who have national aspirations inconsistent with the State of Israel as a Jewish state will be helped and encouraged to pursue them elsewhere. Those who pursue violence against us will receive violence in return. Proportionality will not be a criterion any more than it was when the Allies defeated Germany in World War II. The Minister of Education is currently formulating a new educational policy based on one land for one people. It will include extensive teaching of the ancient, divinely mandated right of the people of Israel to the land of Israel as expounded in the Bible and the Koran. We will teach this curriculum in all schools, whether in the religious, secular or minority sector. We will also set a target of literacy of all Jewish high school graduates in Arabic as befits a nation in the Middle East. Jewish settlement will be permitted and encouraged in all parts of the Land of Israel. The new Defense Minister will shortly sign orders legalizing all existing settlements and outposts whose legality has been challenged. From time to time we will hold cabinet meetings in some of these fine communities. As a developed and financially sound economy we will immediately phase out foreign aid from the US, EU and UN. We are formulating legislation and executive orders defining inimical organizations whose financial influence will no longer be permitted. This will include not only terror organizations and fronts, but also foreign bodies who interfere in our political systems and attempt to influence elections and public policy. We call on all of the Jews of the world to come home. Those who are not Jewish according to halacha and wish to live according to our Torah as it has been taught by our Sages throughout history going back to Moses at Sinai will have the opportunity to study and convert. The wise of the nations are invited to become part of the powerhouse of human resources which we have unleashed in the world with G-d’s help for the benefit of all humanity. I could easily expound on all that I have said for another several hours, but since I am not inordinately fond of the sound of my own voice, and since our tradition emphasizes deeds more than words, I think I will just stop here and take my leave, not in anger but in sorrow at the terrible waste of opportunities for peace in the last 60 or 100 years, depending on how you count them. But for us now peace will be an end result rather than a process. When our enemies admit they have failed and lay down their weapons, we shall have peace. We are not in a hurry. Farewell. The United States is promoting an impossible border between Israel and a new Arab terror state they want to call Palestine. They are marketing it as the "two state solution," insisting that it wouldn't endanger Israel. The establishment of such a country is top priority for U.S. President Barack Hussein Obama. I got a real kick out this New York Times article which expounds on the technical and financial problems the United States is having building a border, some sort of wall, barrier, between itself and Mexico. Mexico isn't threatening to attack or destroy the United States. The U.S. just wants to keep Mexicans out. Illegal immigrants are very undesirable. If the United States can't find a way to wall out Mexicans, how are we supposed to keep out the terrorists? PR Negotiating Hype? or Unbending Principles? Israel's Prime Minister Binyamin Netanyahu, according to his aid, media adviser Nir Hefetz, won't bend on the "settlement issue." Read carefully, Hefetz is his "media adviser," that means public relations, image etc. I wouldn't read much policy in that. Bibi has already come out with lots of mixed messages about our rights to live freely in the Land of Israel. He's a PR expert, a master with words and images. The big problem is that the State of Israel isn't some toiletries or shoes to be marketed. It's a life and death issue. Our enemies, like Jimmy Carter, are uncompromising in their demands that we have no rights to live and build Jewish life, homes, communities in Judea and Samaria. We in Israel and Jews all over the world must recognize the fact that the world doesn't care what happens to us. They didn't care seventy years ago when the Nazis persecuted and murdered Jews, and they don't care now. The war against the Nazis had nothing whatsoever to do with helping Jews. It was to stem German aggression. Germany's aim was to take over the world starting in Europe. That's what World War Two was all about. A historian like Netanyahu should know that. There's nothing for Bibi to discuss with Obama. He should stay home and build our country! That's the best defense! It's the day after Rosh Hashannah, Tzom Gedalia, the Fast of Gedalia. Havel Havelim is the most veteran of the jblogger carnivals and probably one of the longest running blog carnivals there is. Blog carnivals are like "floating" internet magazines. They float from blog to blog, like "floating crap games," l'havdil. Havel Havelim, the international jblog carnival, was established by Soccer Dad, and is now run by Jack. The term “Havel Havelim” is from Kohelet, Ecclesiastes, which was written by King Solomon, who built the Holy Temple in Jerusalem and later on got all bogged down in materialism and other “excesses” and finally realized that it was nothing but norishkeit, “havel” or in English “vanities.” I think that King Solomon and his father King David were the original "bloggers." The books they wrote, when you take them chapter by chapter, can easily be described as blog posts. The stones they used to write on made them last, so that we can read them now. I doubt if today's technology will preserve our words for so long. 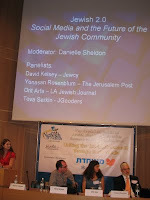 Being that this edition of Havel Havelim follows the Second International Jewish Bloggers Convention, I like to give more of my opinion about it. Yes, I mentioned some points previously, but the more I think about it the more I think it missed what many of us needed. 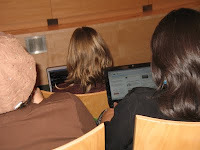 Many of the serious JBloggers are writers, journalists if you recognize blogging as news media. Twitter and Facebook are very different. I'm not alone in just wanting to use the social media to promote my blogs, not to "socialize" with "friends." It was also pretty strange to have speakers telling us from the podium that they aren't quite sure what we do. Most of us jbloggers who showed up at the conference, even those who post infrequently, do more than rant about how the kids spilled juice or that the neighbor's dog barked the night before or that we are looking for a date. Ok, sometimes I do look for a date to reference a historical fact. Some of our blogs are very serious, dealing with politics, current events, health, parenting, cooking and Jewish Law. Again, the blog carnivals were off the program. If you're reading this, that means that you're familiar with our Jewish blog carnivals. Or at least you will be by the time you finish reading. Please send in posts for JPIX, Havel Havelim and the Kosher Cooking Carnival. 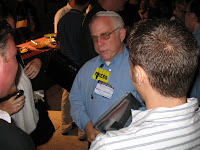 If you'd like to host a KCC, please let me know, shilohmuse at yahoo dot com And if you'd like to host a Havel Havelim, contact Jack, talktojacknow@sbcglobal.net. For JPIX, contact Leora, blog@leoraw.com . To get an idea of how to put together blog carnivals, read How To Host a Blog Carnival #1 and How To Host a Blog Carnival #2 . I must admit that this time I haven't been sticking to my "rules." Please forgive me. Also, I hate to admit it, but I'm relying on blog carnival's time-savings help. Enjoy! Let's start with name the pictured bloggers! If you know who they are, add the info in the comments. Ben-Yehudah presents JBloggers Website An Insult to Blogging posted at Jew ✡ News, saying, "JBloggers Convention: from Itamar at Jew ✡ News"
Ariel Ben Yochanan presents Assesment post [On the Second International Jewish Bloggers Convention] posted at The Torah Revolution. Jacob Richman presents Good News from Israel: Photos of the Jewish Bloggers Convention posted at Good News from Israel, saying, "Thanks! Shana Tova! 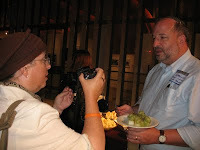 Jacob"
Ben-Yehudah presents JBloggers Convention Post-Mortum: No Regrets posted at Esser Agaroth. Home Shuling presents Teaching teshuvah posted at Home-shuling. Mrs. S. presents Dining al fresco, the Israeli way posted at Our Shiputzim: A Work In Progress, saying, "Thanks for doing this! May you and your family have a shanah tovah u'metukah and a ktivah v'chatimah tovah!" David Morris presents The Smoking Gun on Iranian Terror posted at Tzedek-Tzedek, saying, "New book exposes the direct link from the current Iranian Regime to the Buenos Aires terror attacks..."
Ben-Yehudah presents The "In" Siman (Symbolic) Foods For Rosh HaShanah 5770 posted at Esser Agaroth. Shmuel Sokol presents Likud Deputy Minister Calls To Strip Arabs Of Citizenship posted at תורת ישראל, saying, "My incendiary interview with Deputy Minister Kara." Ilana-Davita presents Raoul Wallenbergs Torg posted at Ilana-Davita. Soccer Dad presents Rosh hashanahs past posted at Soccer Dad. Toby Curwin presents I would take it in a heartbeat posted at A Time of the Signs, saying, "Thank you!" Trip'n Mommy presents Tuition money well spent! posted at Trip'n Up. David Morris presents When Abuse Becomes Mundane posted at Tzedek-Tzedek. In the USA, there's lots of talk about Obama's health care plan; it's better here in Israel. rutimizrachi presents The Second Annual J-Blogger Fest posted at Ki Yachol Nuchal!, saying, "...And a good time was had by most. We definitely need that program-free picnic, though." harry presents Entrepreneurial posted at Israelity. harry presents Tarantino takes a stab at Israel posted at Israelity. My Right Word cleans out the cobwebs in the ethnic cleansing myth re: Tel Aviv and Yafo. He, also, corrects the Jabotinsky quotation. harry presents The Milkman posted at Israelity. Raizy presents How Amazing Is This? posted at SuperRaizy. Shmuel Sokol presents Bloggers and Press Cards posted at תורת ישראל, saying, "Why the government should be careful about issuing bloggers press cards"
reader presents When right seems wrong... posted at A Soldier's Mother. Ben-Yehudah presents Beware Of Governments Bearing Gifts: Israeli GPO To Begin Issuing Press Credentials To Bloggers posted at Esser Agaroth. rickismom presents Elul asnd Rosh HaShana: For Ourselves, and as a Parent PART 2 posted at Beneath the Wings and Elul asnd Rosh HaShana: For Ourselves, and as a Parent. Chaviva presents Passion, Fire, and Self-Respect. posted at Just call me Chaviva, saying, "I wring out my frustrations with the noise and rudeness found constant in many Orthodox communities." David Morris presents Please Pay Me Early... posted at Tzedek-Tzedek, saying, "What makes Lema'an Achai different?" Ben-Yehudah presents Two is Better than One (or is it?) posted at The Kalashnikover Rebbe. Eliyahu Fink presents Parenting: Unconditional Love posted at Pacific Jewish Center Rabbi. Rivster presents The Next Link posted at Frume Sarah's World, saying, "Another milestone for this Jewish mama." rutimizrachi presents What is in a name, anyway? posted at Ki Yachol Nuchal!, saying, "A bit of in-house fun at Key -- uh -- Qi -- Nachos U-Haul -- uh -- whatever it's called." I guess my neighbors and I are getting older. Not everyone dies of old age, but statistically there's more of a chance of fatal illness. We're mourning a neighbor who in our "olam hazeh" way of seeing things, seemed too young to die. Lady-Light presents Preparations on the Eve of 5770 posted at Tikkun Olam, saying, "Especially before the chagim, I miss my family. . ."
Mordechai Torczyner presents ... and I'm an alcoholic posted at The Rebbetzin's Husband. Cosmic X presents English Torah posted at ****** Cosmic X in Jerusalem ******. 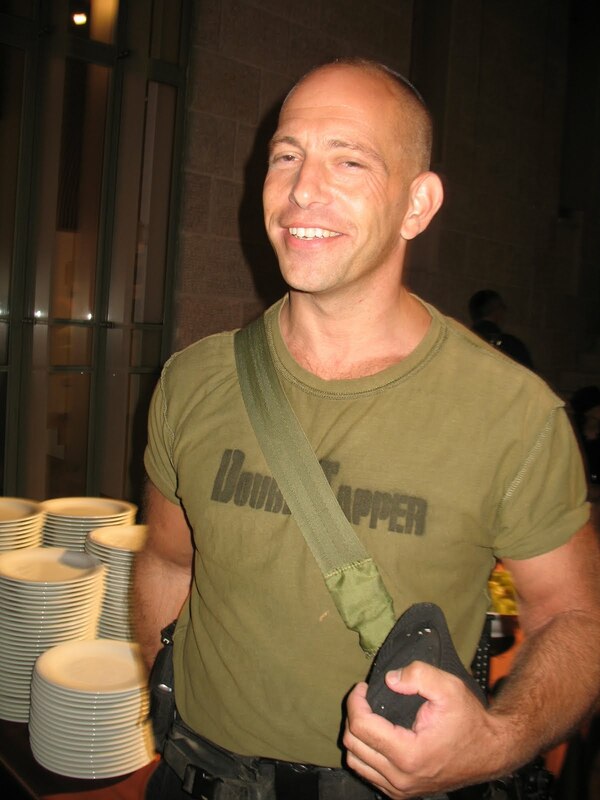 Next week's Havel Havelim will be hosted by Benji's "war zone." What war zone? Click and find out! Submit your blog article to the next edition of haveil havalim using our carnival submission form. Past posts and future hosts can be found on our blog carnival index page. Technorati tags: haveil havalim, blog carnival. Please mail the HH link to all of your friends and put up a blurb on your blog to encourage your fans to visit Havel Havelim. If there are any foul-ups/mistakes, please let me know, thanks. Shavua Tov U'Mevorach—May You Have A Good and Blessed Week! A Call For HH Posts! Where is Moshe Feiglin Hiding? Today's Blogs Can Compete With TV News! I Thought It Was Against The Law! Why Don't We Hear More From Our Foreign Minister?